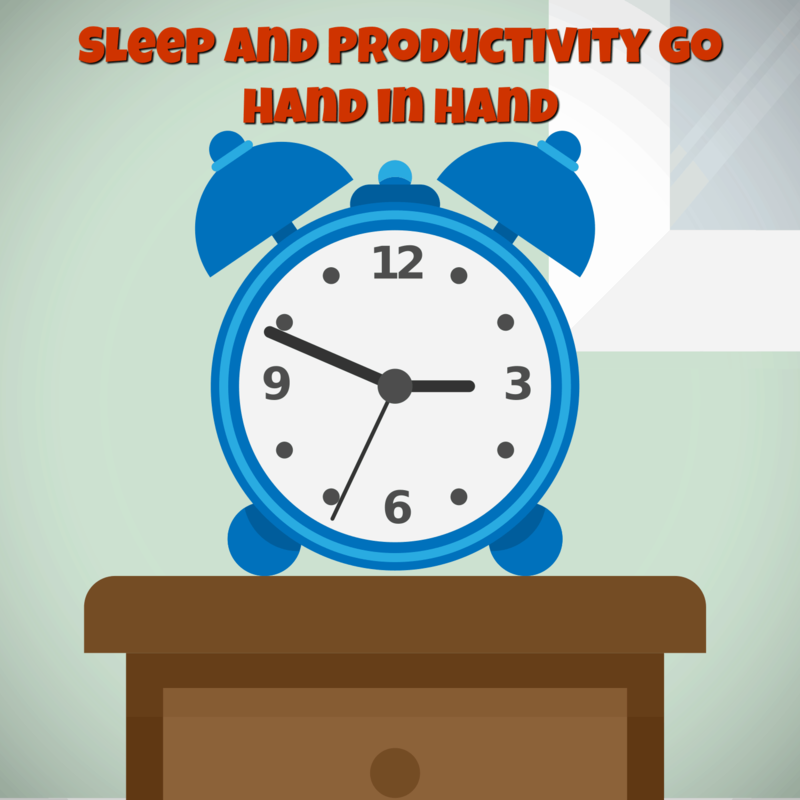 It is a well-known fact that sleep and productivity go hand in hand. Sleep is also very important when it comes to our well-being. However, things change radically when you have a baby in your home. Your nightly sleeping rhythm is in most cases dictated by how your baby is sleeping. Rest assured, if you normally sleep tight, you will most probably wake up when your baby starts crying. Even if you are now more tired than before (your baby was born), there are still ways to overcome the sleep debt issue. Why do you need enough sleep? Sleep is fundamental part of any human being’s well-being. Lack of sleep affects negatively to your memory, focus and overall productivity. Also, solving complex issues comes harder if you haven’t rested enough (and that’s because you are not able to focus enough). It goes without saying that getting enough sleep is mandatory for your well-being. It enables you to do your important things, like working or spending time with your family. Of course, you can do those things when you are tired, but you enjoy much less of those when being tired. Babies and regular sleeping times – impossible combination? Let’s acknowledge couple of things. First, when you have a newborn baby in the house, your sleeping pattern will most likely make a somersault. I remember that after my son came home from the hospital, I was awake, sometimes even couple of times per night. To make things even challenging, when he wake up, he stayed awake for couple of hours in the middle of the night. Second, this irregular sleeping phase is going to end at some point. When writing this, our son still wakes up couple of times per night (he just turned three months old). However, we have had very encouraging words of our acquaintances who have said, that this nightly rhythm is only temporary. This helps us to be positive: When we know that this is just a temporary phase, we can manage the situation better. Finally, nightly wake ups belong to your baby’s development. Sure, there are babies who sleep tight the whole night right from the beginning while others (like our son) wake up more frequently. Anyway, we didn’t expect that our sleeping habits would stay the same after having a baby, so wake up every now and then are part of the game. How to get a better sleep? These are some common solutions to make sure you get a better sleep or feel better rested. This list is not complete and I encourage you to list your own tips on the comments section. This helps us all who are trying to tackle the sleep debt. This is what I have been doing. Since I have a day job, I need to get some sleep before waking up early in the morning. My wife feeds our son at least two times per night (with the lights on in the bedroom), so I know that it is impossible for me to get any sleep then. That’s why we decided to do this temporary solution where I sleep on our workroom’s floor. This applies to fathers, who have a day job and live in a country which offers this possibility. I live in Finland and here the government offers paternity leave for fathers. That is 3 weeks and you can decide how to keep those three weeks (there is also a father month which is 30 days long). Personally, I took two weeks off when my son came to home from hospital and then one week after the Christmas. You may now ask: “How does this help you to sleep better?” Well, the vacation itself doesn’t. But knowing that you can take naps during the afternoon (or other times) helps you to cope with the situation better. Personally we haven’t done this, but one option is to give your partner a chance to get at least one night of distraction-free sleep. Basically, you can decide that your spouse can spend a night somewhere else (his/her parents, at friends place) while you wake up with the baby and take care of him/her. Later, you spouse can do the same favor for you and you can have your distraction-free night, when you can rest and reload your batteries. It’s all about equalizing the amount of staying up between the parents. To help me to sleep better, I invested to a sleeping mask (Jasmine Silk Sleeping Mask) and some earplugs (Howard Leight Laser Lite). Even though I sleep in a separate room, these help me to filter out all the extra noise and light while I sleep. 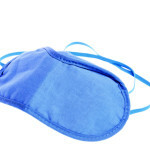 Of course, they don’t block 100% of the noise or light, but still help you improve the quality of your sleep. If you don’t have a possibility to sleep in a separate room than the rest of the family, this equipment is good to be available. If you haven’t got used to taking naps, now is the time to learn that now. Even with 20 minutes of sleep (aka power napping) you can wake up fully refreshed and full of energy. You don’t have to worry about losing your night sleep because of napping – especially if you take naps before 5 PM the latest. Try power napping, it is a great way to improve your productivity. After a beginning, your baby is eventually going to have a sleeping schedule. Still, it is going to be different one than what you might have. The important thing is to adjust to that situation. If he/she goes to sleep at 9 PM, you may need to adjust your own sleeping times accordingly. That way you can have at least some amount of sleep before the first wake up. This is a bit radical thing to do, but I have heard this happening. What you do is that you book a room and get the sleep debt cleared out by sleeping in a hotel. Even this option costs some money you may want to consider this option if things get too challenging and sleep debt grows too big. Lastly, you may want to talk to your local social workers, if they have any advice or help that they could provide. Fortunately, these days authorities are beginning to be interested how dads are doing too (and not just moms or children), so it is possible that a solution can be found that way too. Sleep is a very important part of our well-being. However, once there is a new family member in your home, your regular sleeping patterns will turn upside down. Keep in mind that this phase is just temporary. Hopefully the tips mentioned on this points give you some advice what to do if getting proper sleep gets challenging. Find the tip that you like the most and take action on it. Make necessary arrangements for better sleeping conditions.